Appearing in 1806 as the first printed recipe for a cocktail, the Old Fashioned really is as old fashioned as they come. Made from a simple mix of sugar, spirits and bitters, this classic can still be found on cocktail menus all over the world – in old pubs, hip new hangouts and swish restaurants. But what is it that has kept this tipple so timeless? In an era where sweet, fizzy and fruity drinks are all the rage, the Old Fashioned has acted as a no-nonsense counterpart and has stuck its ground doing one thing that a lot of modern cocktails don’t do: the Old Fashioned tastes of alcohol. The Old Fashioned is simple, easy and traditional. It always has been, and it always will be. Need any more convincing of why you should dabble in this beauty? We didn’t think so. 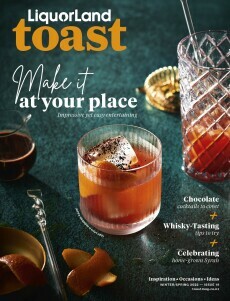 Check out our recipe for an Old Fashioned below and our top picks for whisky to try in yours.